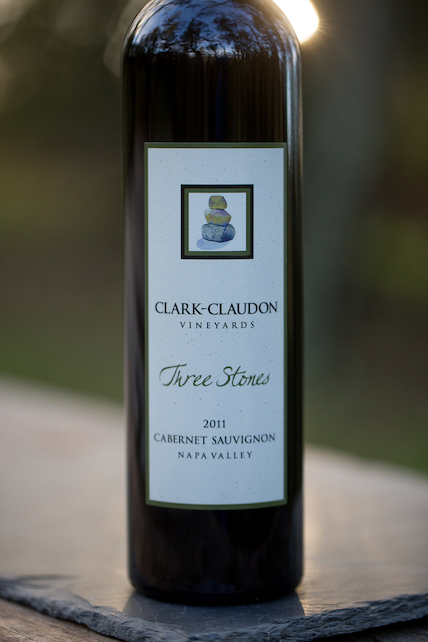 The 2011 Three Stones Cabernet Sauvignon is available as part of Cabernet for Care, click here for details. Three Stones is only produced when we have a few barrels of Estate wine that deserve their own bottling. The 2011 Three Stones Estate Cabernet is a perfect example of one of those special, tiny production vintages. With a touch of age, it is a delicious wine that defies the 2011 odds. 2011 Three Stones Estate Cabernet presents with deep dark color and long legs that suggest the full rich mouth feel to come. A nose of ripe fruit, spicy wood and dark chocolate opens to layers of ripe plums, baked purple and red fruit pie, a hint of herbs and a finish of milk chocolate.